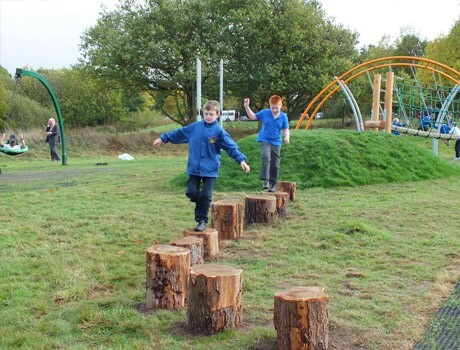 The new trim trail play area design was Phase 1 of a longer term project for Myrtle Park Primary School and has proved to be extremely popular with the children. 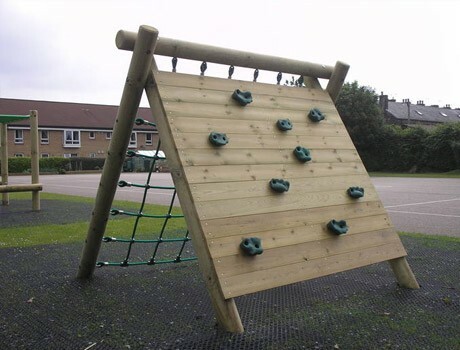 3 items of timber trim trail equipment were sited to provide a strength, coordination and agility area for the Key Stage 2 children. 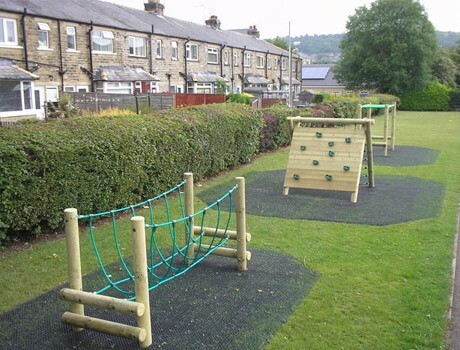 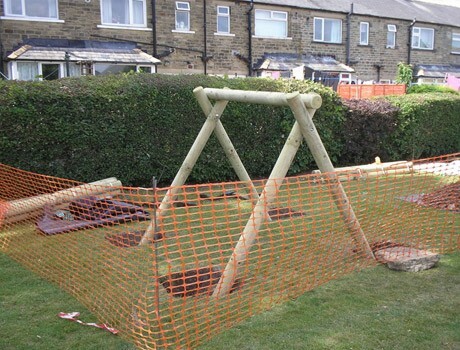 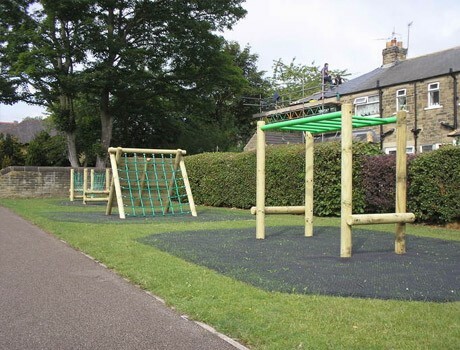 The play area design included a Timber Rope Walkway which is challenging in terms of coordination and balance as the children must negotiate the moving rope section as they cross. 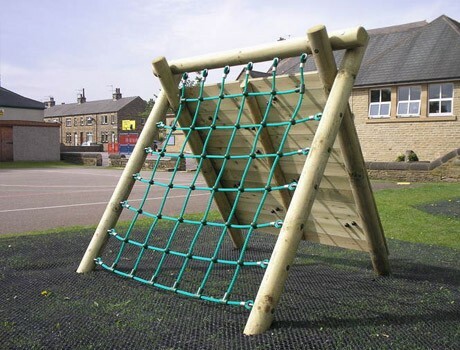 The A Frame Climber is a great “up and over” climbing challenge with hand and foot holds to negotiate on one side of the frame and an angled cargo-style net to clamber up and down on the other side of the unit. 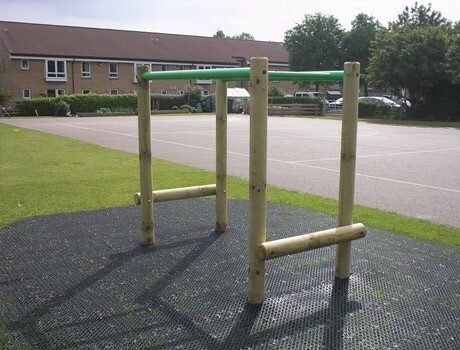 The final piece was a set of Monkey Bars which is a particular favourite with all schools and helps to build upper body strength and coordination. 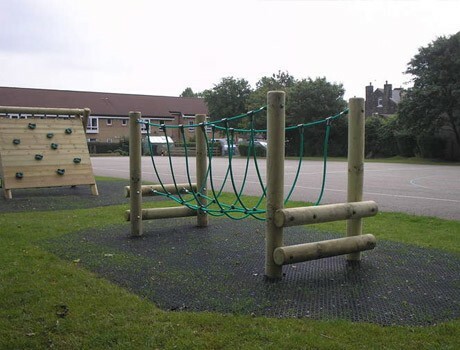 All items were surfaced with wetpour safety surfacing which was surface mounted onto the existing tarmac. 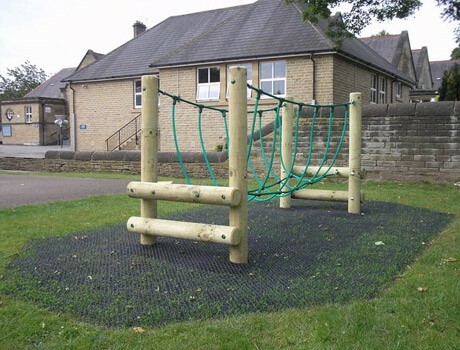 We are delighted with our new equipment. 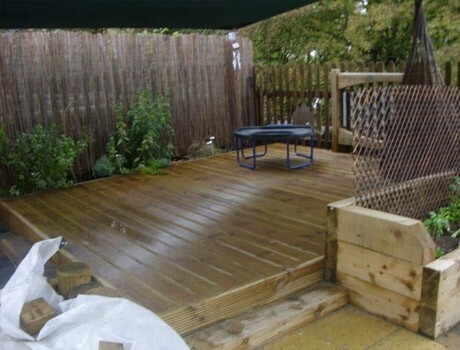 The whole process from initial visit to designs, ordering and installation has been most impressive. 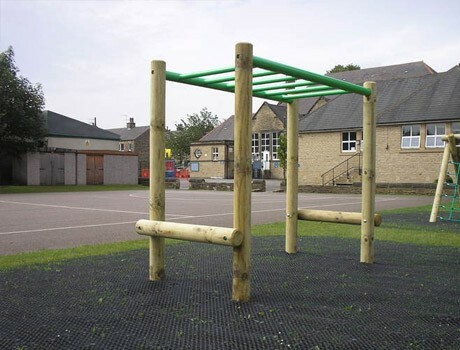 The team were great to have in school. 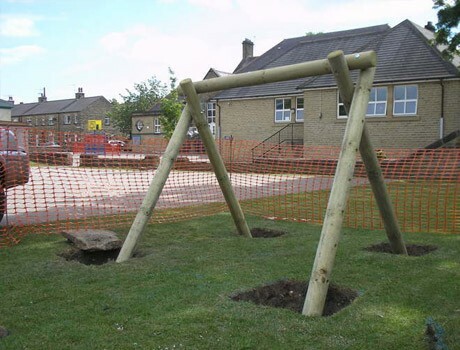 A professional job well done!